She's reportedly expecting her first child with boyfriend Tristan Thompson. 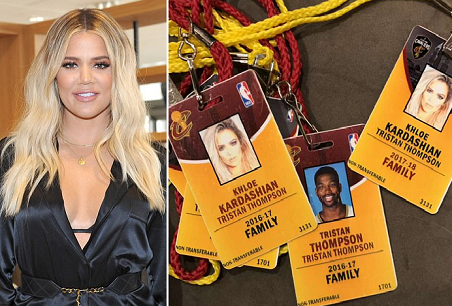 And 'pregnant' Khloe Kardashian recently shared a Snapchat picture of her Cleveland Cavaliers game pass for the upcoming NBA season. The 33-year-old star was listed as 'family' by her basketball playing beau. The Keeping Up With The Kardashians star's pass for last season was also in the photo; it listed her as family as well. Both passes used the same glamorous picture of Khloe.